You know how when Apple releases new gadgets, some companies will bling them up with things like diamonds and gold, and then sell them at an extravagant price? Well, you don’t have to pay thousands of dollars to get a golden iPhone, according to AllThingsD, Apple will introduce a “gold” iPhone. It’s not gold per say, it’s more of a champagne colored iPhone on top of the usual black and white option. Over the weekend, a gold iPhone have been rumored on the internet and according to AllThingsD who has sources in position to know, Apple will indeed have this new color option that is described as an “elegant” gold tone. Why gold? Because it’s the easiest color to anodize hence, it will be the easiest color to add, giving a hint of difference between the upcoming and previous generation iPhones. 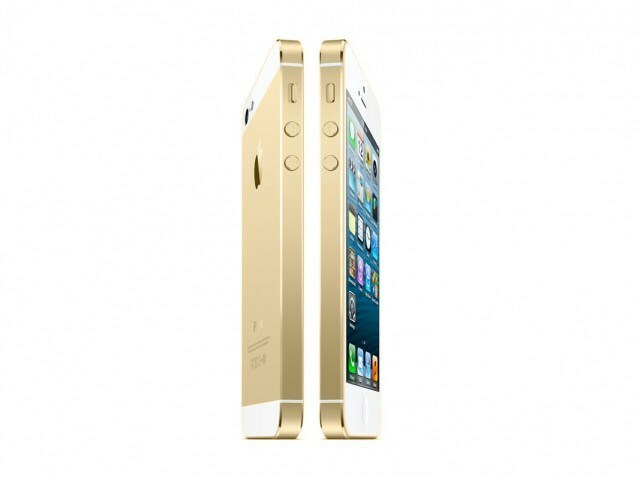 The new color option for iPhone 5S will look much like current white + slate iPhone 5 but instead of slate, it’s gold. Golden iPhone anyone?